The best recovery shake ive tried, feels like a real treat after a session and something to actually look forward to before and during the session. Has kept me going all season and a product im sticking with! I’m rubbish when it comes to nutrition … when I was a child my mum used to force feed me arctic roll in a desperate attempt to get me to eat SOMETHING before I went to school. These days I’ll eat practically anything, but I’m lazy by nature so having to put some effort in and THINK about what may be required pre-race other than my bike and a pair of running shoes means that in terms of nutrition I’d generally get it wrong. So for me this product a God send … it provides everything that I require nutritionally in order to perform at my best. It tastes good and it’s versatile, you can combine it with whatever you’d normally digest on race morning or have it on it’s own, no further thought required … BRILLIANT :-)!!! 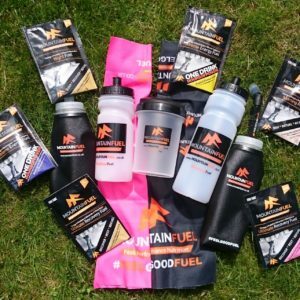 Love Morning Fuel, everything you need on the morning of a race or big training day in an extremely convenient and versatile package. 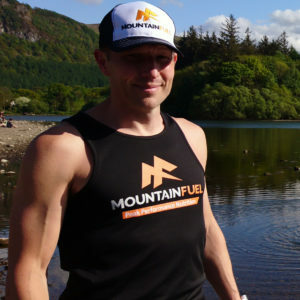 I often add a sachet to some porridge for long races or just use it as a shake before morning training or shorter races. Great taste and easy to digest. 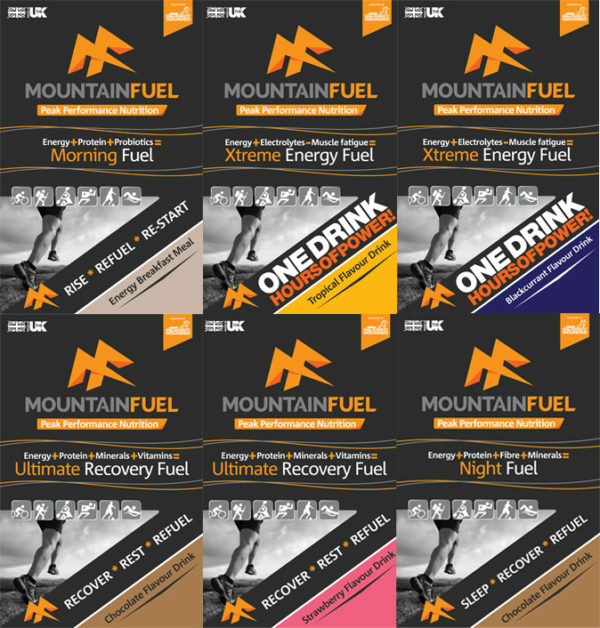 One of the things I love about Mountain Fuel is how it provides an easy to use system that works together to give everything you need from the night before till recovery after the race. I fine the Night Fuel relaxing as hot chocolate style drink and know its got everything in I need to set me up for the next day and really compliments the other products. When the going gets tough during one of my long training runs, I start to think about MF Ultimate Recovery Fuel Chocolate flavour. It tastes amazing and it’s benefitting your body and aiding recovery too. It’s a win win situation. My favourite post run drink ever. I am using Ultimate Recovery Fuel after most of my workouts. Very simple to prepare, tasty, powder dissolve in water very quickly! It helps me to fight sore muscles after long runs or heavy full body workout sessions ? 1.5kg pouch is great value for money and it last for ages! Highly recommended!!! / [PL] Siemka! Goraco polecam Ultimate recovery Fuel o smaku czekoladowym! Uzywam tego produktu praktycznie po kazdym treningu- meczacym biegu gorskim czy tyrce na silowni! Definitywnie pomaga w regeneracji miesni I pomaga zredukowac zakwasy ? Opakowanie 1.5kg to super deal, naprawde watro zainwestowac w ten produkt! Aaaa, zapomnial bym- rozpuszcza sie w mgnieniu oka I swietnie smakuje ? Moja dziewczyna uwielbia czekoladowy! ? 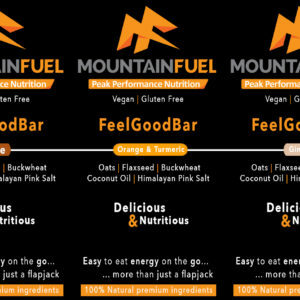 Great tasting and very easy on the stomach, if your like me and have to fit your training in before work then you will love Morning Fuel. Most days my alarm goes off at 5am, whic doesn’t allow me enough time to have breakfast and wait for it to digest. The great thing about Morning Fuel is I can drink it as a brrakfast shake, this makes it very light on my stomach and I can be up and ready to leave the house in thirty minutes. Knowing ive had a breakfast that doesn’t give me any stomach isues and gives me enough fuel for my 2hr long runs. Love this drink. Not only does it taste great but it’s easy on the stomach and gives me the energy I need . As well as using Morning Fuel as a breakfast before those “stupid o’clock” race starts, I always have a sachet in my drop bag during ultra marathons, ready to mix with some chocolate soya milk. Feels like a new start and has turned my race round for the better on a number of occasions. I love blackcurrant Xtreme Energy fuel, and use it for all of my races whether it’s a short, sharp 5 mile or a 50 mile sufferfest. It’s easy on the stomach, provides a constant source of energy with no flat spots and combines well with real food. Having it in such a big bag means I don’t have to restock every coupe of weeks, and is easy to portion out for longer races. I have to have my pack of chocolate recovery fuel at the front of the cupboard so I can mix it up as soon as I walk in the door. For a real indulgence, I’ll mix it with chocolate soya milk. Usually, all I can think about for the final 20 minutes of a training session. The Night Fuel system has proved to be imperative in my recovery. After getting run down by the end of this season, this has really helped me bounce back. As a bonus it also tastes fantastic, something I really look forward to post run. WARNING – The Morning Fuel power pancake recipe is addictive! And as an added bonus an athlete couldn’t get a better start to the day. Xtreme energy is easy to consume that keeps you going all day and beyond. I swear by this stuff after tough races! After the Hardmoors 60 this year I had a sachet straight after I finished and then one before bed,the next morning I had no muscle soreness whatsoever! 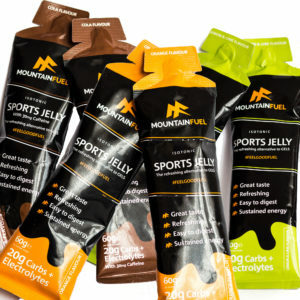 For sustained energy throughout long runs and races you can’t beat Xtreme, tastes great and the sachets are great for leaving at check points or carrying in your pack to mix to what ever strength you need during long days out. Chocolate recovery fuel tastes great, I mix it beforehand with water to have that instant pick me up post run, vital if driving home afterwards! Also, like others have said, post ultra, made up with milk it’s that lovely indulgent treat, often at a time I’m struggling to eat solid food, so really important in kick starting my recovery. Morning Fuel is great for breakfast, but also during the run as banana/ chocolate/ sweet potato/ bacon pancakes or just flapjacks! Night Fuel mixes up easily & I have tended to use it as a hot drink late evening. I’ve used it during heavy cross-training sessions & before/after trail run races and found it a great recovery tool and felt it helped set me up welll for the following day’s training & racing. I had reservations about it for consumption at night due to the sugar content but didn’t get a sugar high/crash like you might have do from something like a regular hot chocolate drink, great tasting product too! Chocolate recovery fuel is a really good shake, mixes well, tastes great and no digestive issues. I have used them after The Fan Dance and Race to the Kings as well as post hard sessions. Sachets can be stored in your pack and no need for any fancy shaker. I was drawn to trying this product after reading about its successful use in a few fell runner blogs. I’ve used it mixed in with some muesli in the lead up to trail runs & races and I wouldn’t bother with anything else now! I don’t suffer from a sugar crash with it, and don’t got hungry for much longer than I would trying other breakfast options. Now an important part of my race day prep, i’d recommended for anyone undertaking sustained exercise stints. Always been dubious of these energy drinks, but dived in and took the risk. Used these during a competitive welsh 3000. What a difference, constant energy, throughout the day. Used one at the start of each leg. Great tasting to boot!! Night fuel, does what it says on the sachet. Mixes without fancy shakers. Tastes good, digests without any gas or tummy issues. I’ve used it before bed and even mixed another up to sip during the night if on multi day events. Used to be unsure what to have pre event….weetabix ? Granola? Banana?……they all seemed to ‘burp up’ once I got going. Morning fuel has changed everything…legs feel ‘bouncy’ and full of energy and once its down it stays down . No burps, and ready to start sipping energy drink on top of it. Great product !